Pick big, tasty beefsteaks right outside your door! First-ever beefsteaks for porches and decks in warm, sunny conditions everywhere. 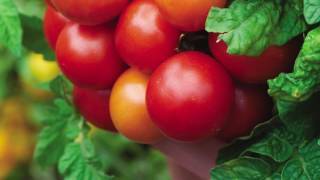 New bushy, compact ‘Atlas’ plants easily shoulder their bountiful loads of one-pound tomatoes. This vigorous, neatly growing paragon of the patio combines modern performance with old-time flavor. Fruits deliver unsurpassed balance of sweetness and acidity. Semi-determinate plants. Tomato, Atlas Hybrid is rated 2.8 out of 5 by 41. Rated 1 out of 5 by pebs from Don't bother I grew several from seed last year and they had great growing conditions. At first all looks great, but they don't produce much, and we didn't get one good one. They all rotted before ripening. Everything else in the garden went gangbusters so I wish Burpee wouldn't just blame it on temperature, pollination, etc. The fact is there are much, much better varieties out there. I'm re-writing this review for people ordering this year - I notice the removal of my earlier one star review. Hmmm. Rated 5 out of 5 by Rokra from Incredible potted tomato I planted the Atlas just as an experiment to see how a beefsteak tomatoe would make out in a pot. I was blown away by it. The plant grew just the perfect height without falling over and produced at least 6 huge slicing tomatoes. I'm planting it again this year. Rated 5 out of 5 by Ed52 from Biggest Patio Tomato I have ever grown I was so happy with the productivity of these tomatoes. As soon as I planted them they took off. They were heavy so I had to stake them, but they did their thing with little help from me. One thing to remember, you must have a very large container for them. I used 22 inch containers, which to me are huge. Can't wait to grow them again next summer....dreaming of summer already LOL. I take pics next year. Rated 1 out of 5 by Ramon from Lots of very large fruit but none were edible My review is like several others in that Atlas set many large tomatoes. Had to add extra stakes just to keep the branches from breaking. Very impressive for a large container. Unfortunately every one was pithy and inedible. Maybe Atlas is highly environment sensitive. Would not recommend for Iowa zone 5. Burpee has many great products but this is not one I would try again. Rated 1 out of 5 by CaBryan from Great yield and size. I mainly do container gardening in California and this tomato did great! I started from seed in March. Good yields and large size tomatoes with good flavor. Burpee please create more container type tomatoes. Maybe a yellow, orange, or pink types? Rated 1 out of 5 by Boathoff from Lots of Tomatoes but.......... Hi Burpee. Hopefully you see this review as helpful for future considerations as to what tomatoes you carry. 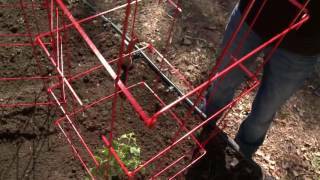 I started my Atlas tomatoes from seed under lights, and then planted 2 in an Earthbox. I had tons of tomatoes, (in fact grew my largest tomato ever from my Atlas plant) and was very excited. However, about 60% of the tomatoes developed black spots before ripening and then would just start to rot. I am in Zone 5 and our summers are not the longest, so growing tomatoes can be a challenge. My Bushsteak tomatoes have done well, along with my Early Pick VF Hybrid tomatoes. I have tried Betty Boy, Bush Goliath, Stupice, Big Beef, Bloody Butcher, 4th of July, Early Girl, Bush Early Girl, Steak, Celebrity, and Black Krim with varying success, but never good enough to plant again. I would love to hear from Burpee as far as recommendations for container beefsteak and/or slicer tomatoes. Rated 1 out of 5 by Aline421 from Plenty of fruit, BUT I bought these because they were recommended for container gardens. I use Earthboxes. They were a spring crop and there were plenty of tomatoes, but they didn't ripen. Just began to rot on the vine.